Numerous studies show that color matters. To stand out in the competitive supplement market, manufacturers typically choose to use pigmented film coatings that deliver attributes which appeal to consumers. All of those unappetizing, uncoated, brown-speckled look-alike tablets on the market offer no differentiation - leading to an overabundance of indistinguishable products. Since tablet color impacts consumer appeal and recommended dosing compliance, as a manufacturer you want to differentiate your supplements and create higher brand equity while addressing market concerns about synthetic additives. Consumer lifestyle preferences for non-synthetic, all-natural dietary supplements are on the rise, and manufacturers are taking notice. Unlike prescription drugs, consumers question the use of synthetic color in nutritional supplements. 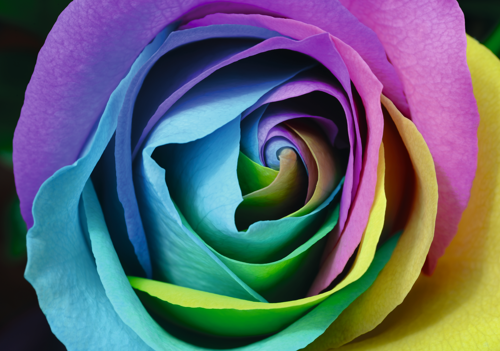 This movement towards natural ingredients is driving the need for non-synthetic (natural) colors. Colorcon is providing options for the supplements industry to replace traditional synthetic pigments (such as aluminum lakes) through a wide choice of non-synthetic pigments (with many more undergoing qualification) delivering an extensive color palette. We can offer non-synthetic alternatives to achieve various hues of pink and red without using carmine - a pigment of animal origin. To achieve the blue spectrum, we petitioned the FDA for the use of Spirulina extract - which was previously not approved for use as a colorant in supplements in the US market. In 2016, we were granted approval - opening a broader palette of stable, naturally-derived blue colors for use in your dietary supplements. To help streamline your color selection process, Colorcon provides an Online Color Selector tool - reinforced with global regulatory insight and technical advice to select the right coating solution for your specific application and market need. An evolving industry topic relates to the inclusion of titanium dioxide (TiO2), which is widely used as an opacifier in tablet coatings. TiO2 is probably the best material for providing exceptional brightness, whiteness, and opacity in coatings. It has a long history of safe use in thousands of applications in foods, drugs, and cosmetics. At present, there does not appear to be any specific reason to discontinue the use of TiO2. Among consumers, however, it has become a controversial ingredient and there is currently a movement opposing its use in food additives due to health concerns associated with nanoparticles in TiO2. Due to these consumer concerns, we have developed TiO2-free formulations for tablet film coatings to help you answer your market needs. Colorcon can support you in solving the challenges of non-synthetic colors in your dietary & nutritional supplements. 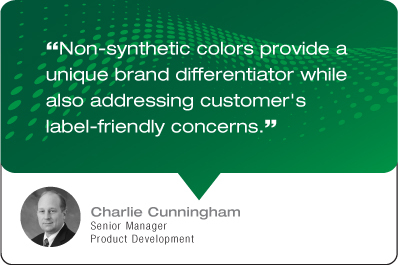 We'll help you differentiate your products through access to specialist color expertise and resources. Better film coating starts with a conversation.